With performance engines pushing redlines up higher and higher, alternators are being forced beyond their design. 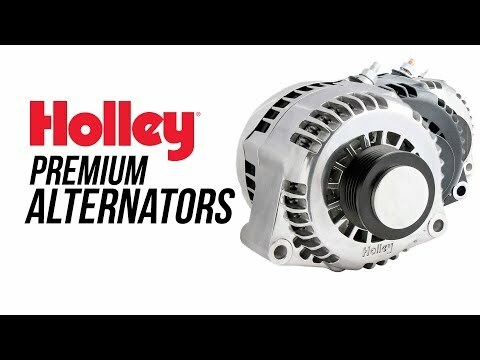 Holley's premium alternators are specially designed to tolerate 30% higher RPMs than conventional alternators and made in the USA. 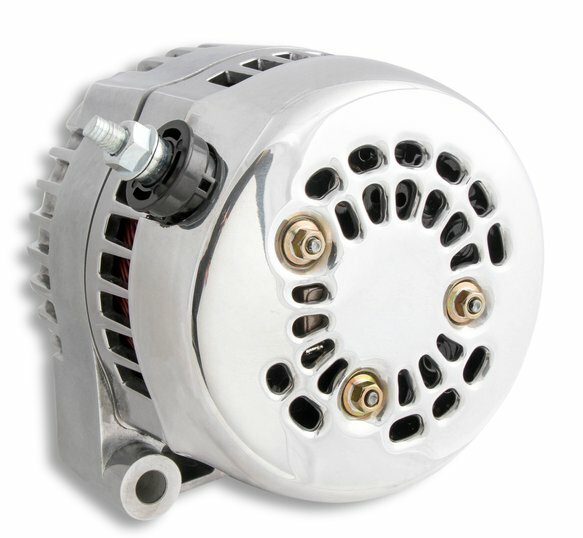 If you drag race, auto-cross, or just hot-rod your ride, know this alternator won't fly apart on you. Inside the attractive Holley housing is cutting edge technology. 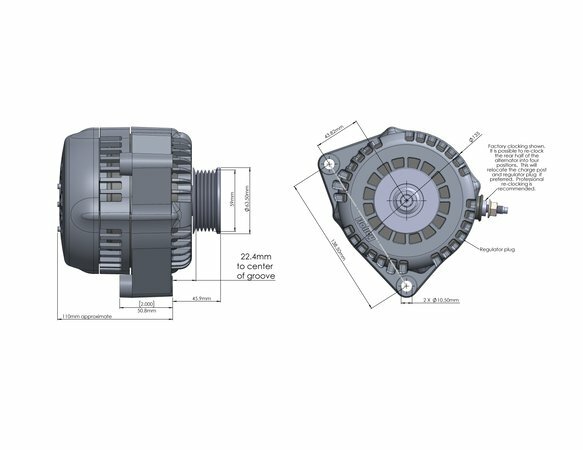 Every component was developed to produce cleaner, more efficient output compared to conventional alternators. Efficiency means you get more from a compact package. GM recently adopted this technology for the 2014 and later Corvettes. The attention to cosmetic detail on these units is above and beyond what you would expect too. The entire outside housing has been sculpted for a smooth silhouette that hides the ugly details we think of as alternators. The housings are smoothed to make polishing clean (no buffer cut marks trying to get in tight corners). Even the rear cover is aluminum so you lose that black plastic on your polished alternator. Available in Natural, black, and polished finishes. For that finishing touch, black pulley covers are available to give a simple but refined look on the 197-302 and 197-303. 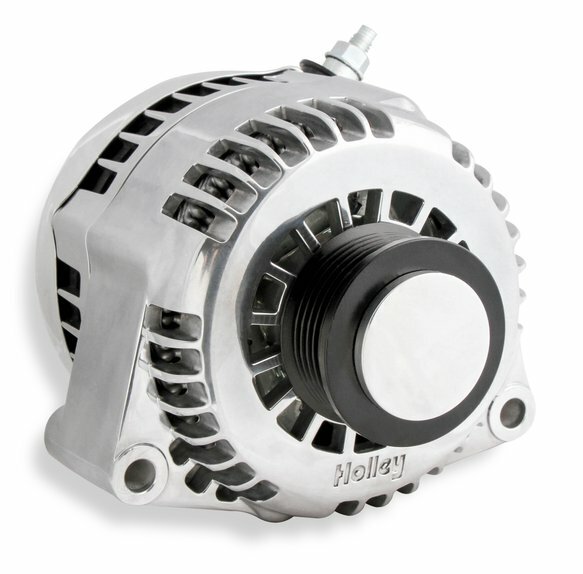 The 197-304 polished alternator already includes a polished cover. 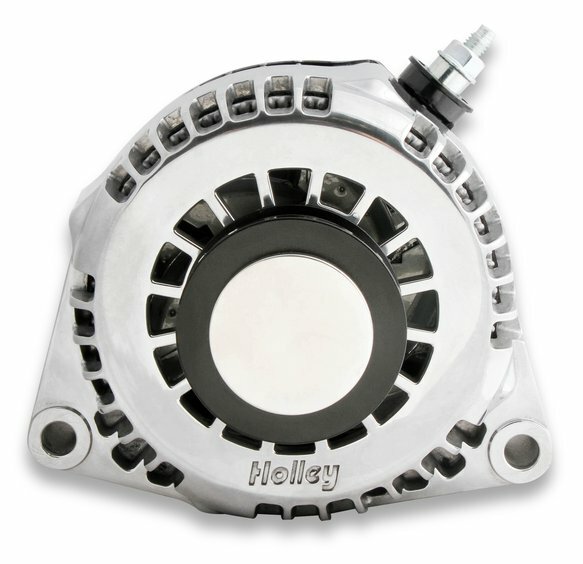 These powerhouses fit ALL Holley accessory brackets, as well as 4th generation F-body, most 1998 thru 2004 GM trucks, and many other applications.